As you know that October is child safety month. I would like to share with you a design for shades and a cornice board that we provided for a child room in Burr Ridge Illinois. The client asked for shades and top treatment with a nautical theme. 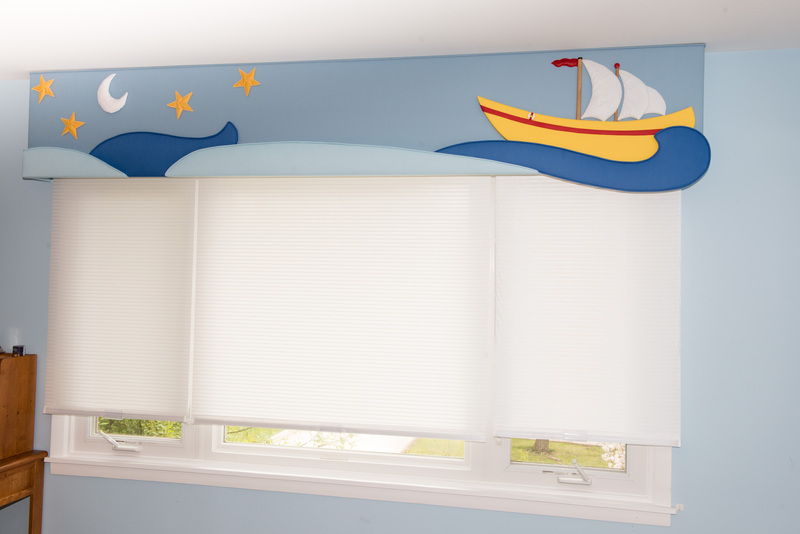 Take a look at the pictures below, the shades has a cottony feel to simulate the sails on ships,and they are cordless for safety, the cornice board for top treatment is constructed with semi three dimensional design, and diffidently gives the feeling of sailing over waves and soothing breeze! Cornice with 3 dimensional sails. 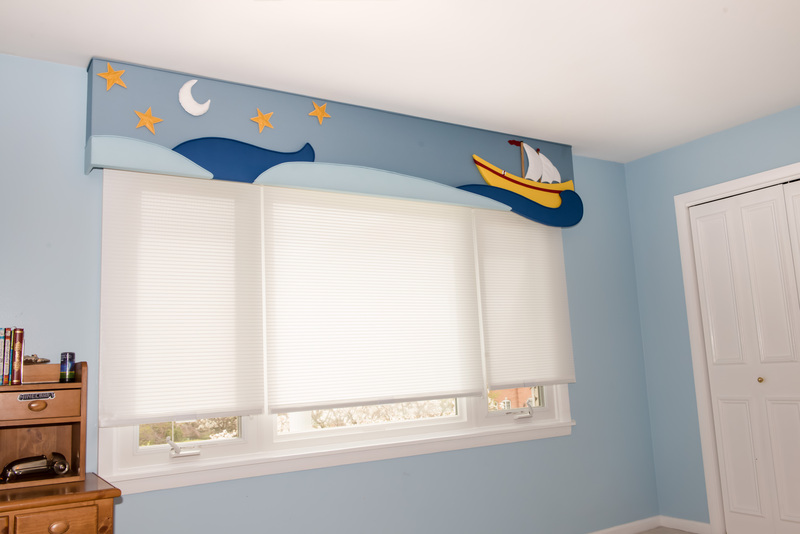 Nautical theme for a child room, Burr ridge IL. For more information, call (630)420-0800 or (630)854-9082. We provide free consultation and estimate. 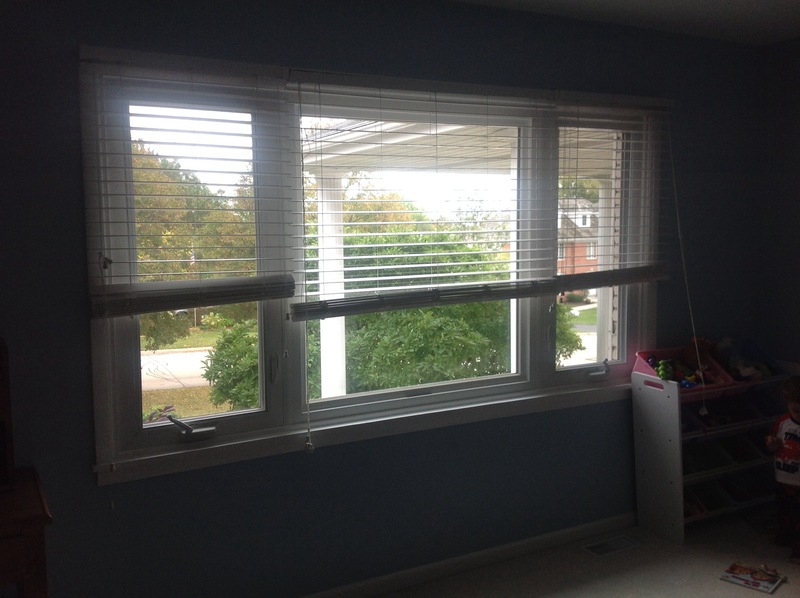 Take a look at the window treatment below, it is a kids bedroom at a Burr Ridge resident. The window had an old wood blinds with unsafe cords. It was very out dated and did not add any esthetic value to the room. My client wanted a nautical theme for the room. 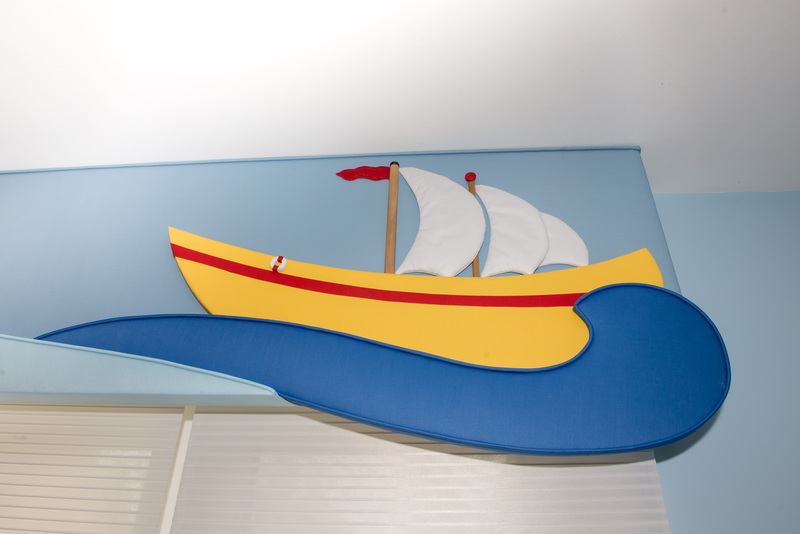 A cornice board was designed to bring the sea spirit in the room. the shades were carefully selected to support the theme as well as being cordless for child safety. For free estimate and in home consultation call (630)420-0800.